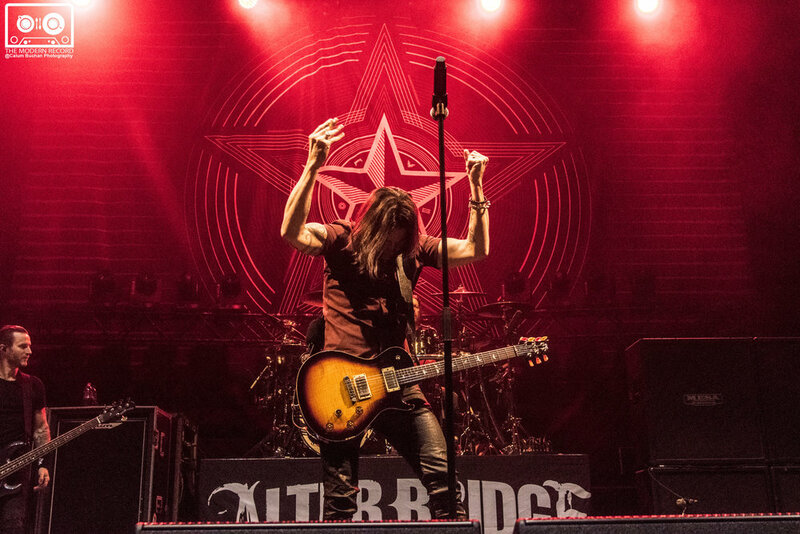 Alter Bridge played a superb set in Edinburgh’s grand Usher Hall, the packed crowed was anxiously awaiting the main appearance, with a fight breaking out before the show had even begun. With As Lions, a London hard rock band with singer no less than Austin Dickinson (son of Iron Maiden front man Bruce Dickinson) kicking off the night as the first and only support band of the night. 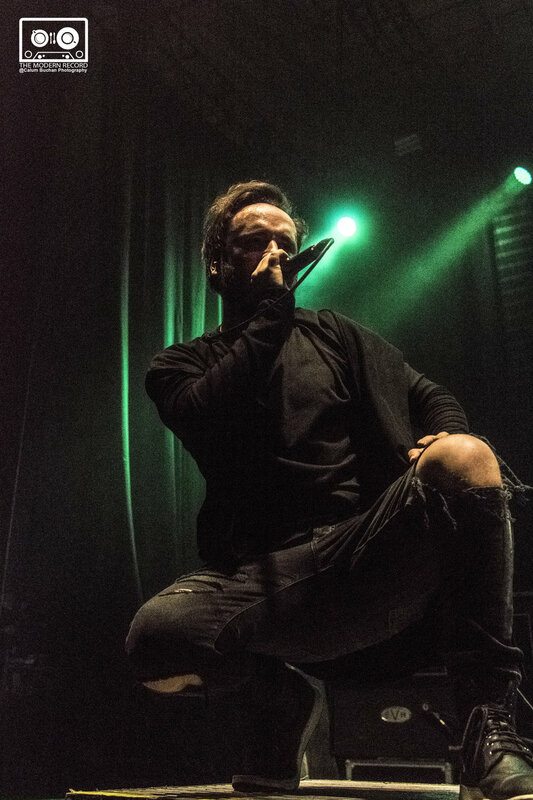 As Lions put on a high energy set with Austin jumping and twirling across the stage throughout the set, amongst deep red smoke which filled the room with their presence. 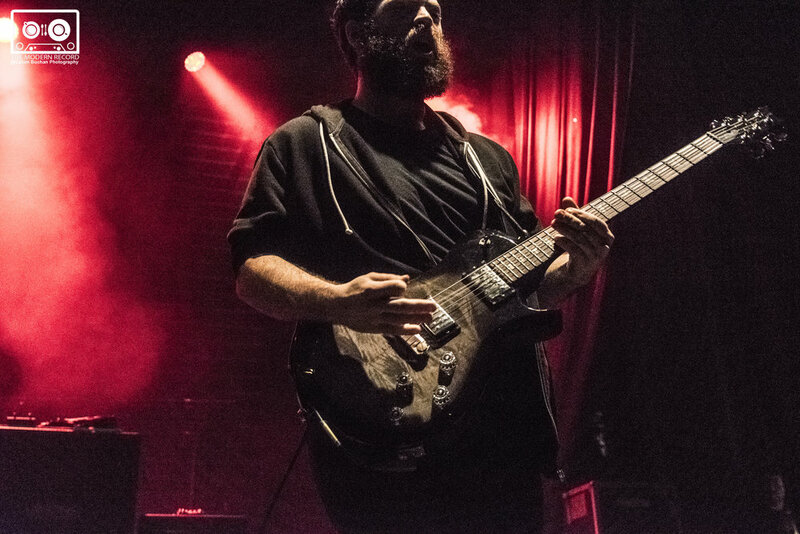 Their style perfectly suited to start the night with energy and get the crowd riled up, with their melding cinematic, guitar heavy sound with a strong melodic sense with electronic flourishes. They finished their set with ‘The Great Escape’, the audience willingly participated before the song had even begun, with everyone linked with arms around each other’s shoulders to form rows within the crowd. 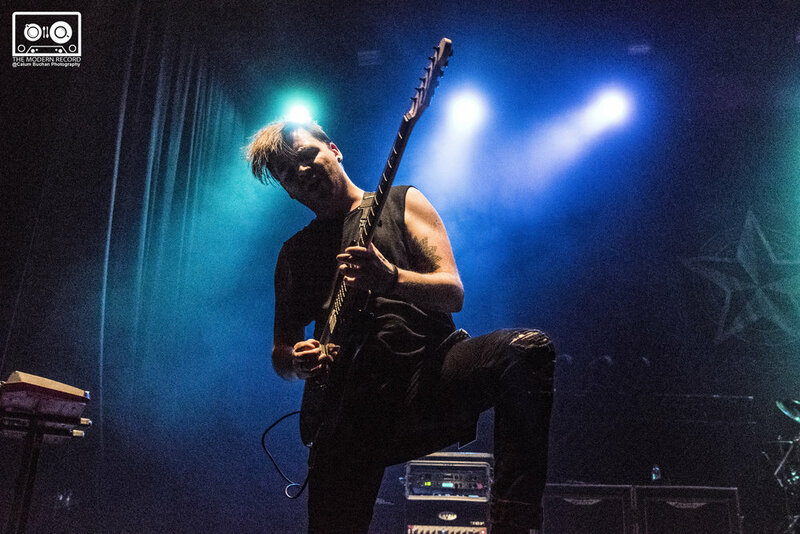 The typical beefy guitar opens the gates and headbanging began to break out across the crowd, ending the show with Austin holding hands with a man for support as he stood at the very edge of the audience. 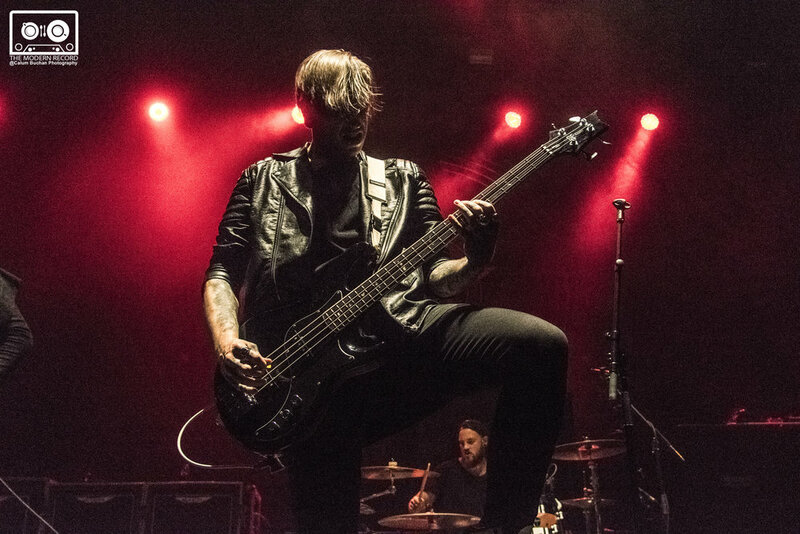 As the crowd waited patiently for the hard rock titans formed in Florida, flashing strobes of light began with pounding drums, the band slunk on in the cover of darkness. 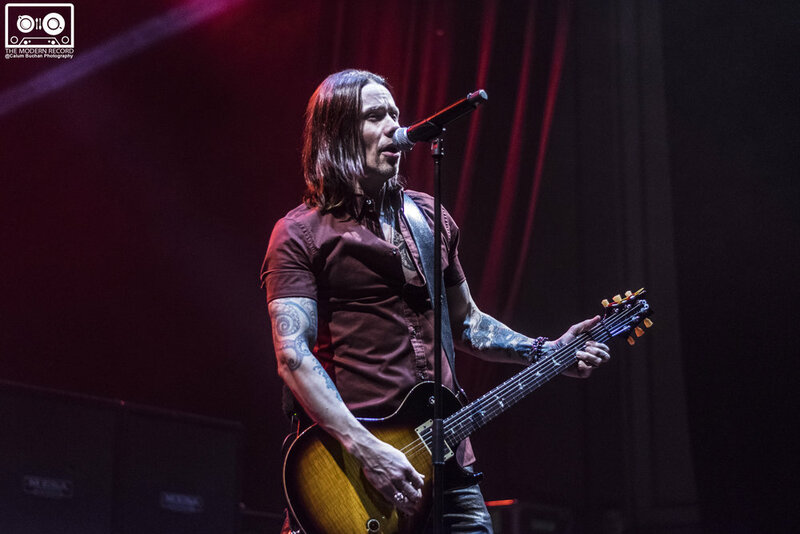 Myles Kennedy’s, the bands stylish frontman, familiar purr echoed through the grand hall, the audience screaming in adoration. 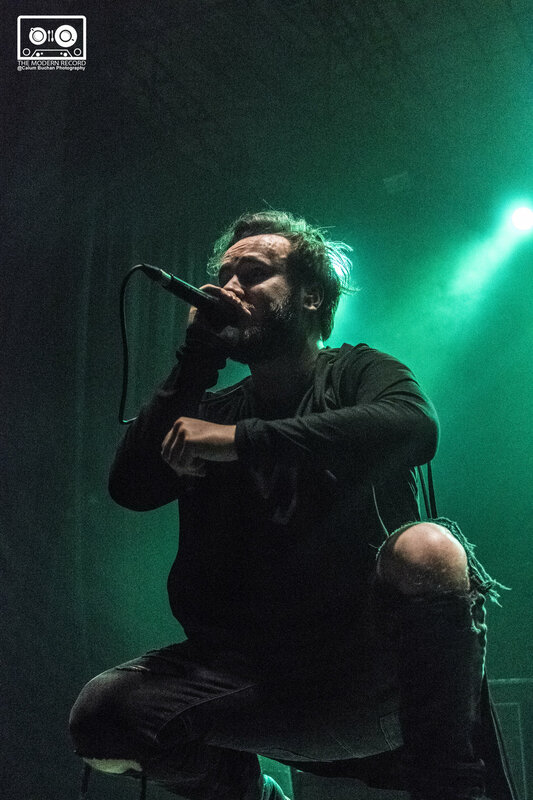 Their opening songs were a few of their newer tracks which feature a more trash-influenced sound, which struck the crowd and had the audience in one swirling mass of bodies from the get go. 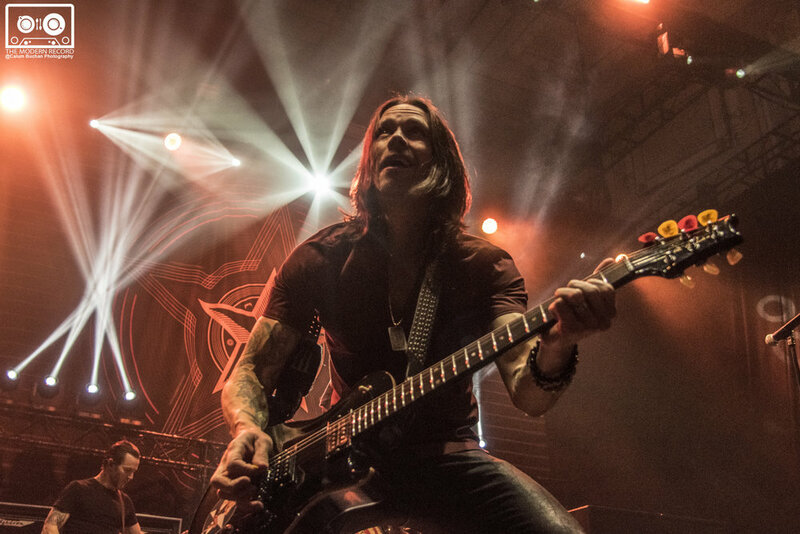 Myles toyed with the audience before stating their fifth song of the set, ‘Ghost Of Days Gone By’, pausing and smiling as he held them like putty in his hands. Suddenly the bass drum kicked in and his smooth vocals slunk into this familiar catchy song. The guitar riff and vocal harmonies all mixed to send the audience into oasis, everyone screaming back every word, finishing the song with two hard drum beats as the lights cut. 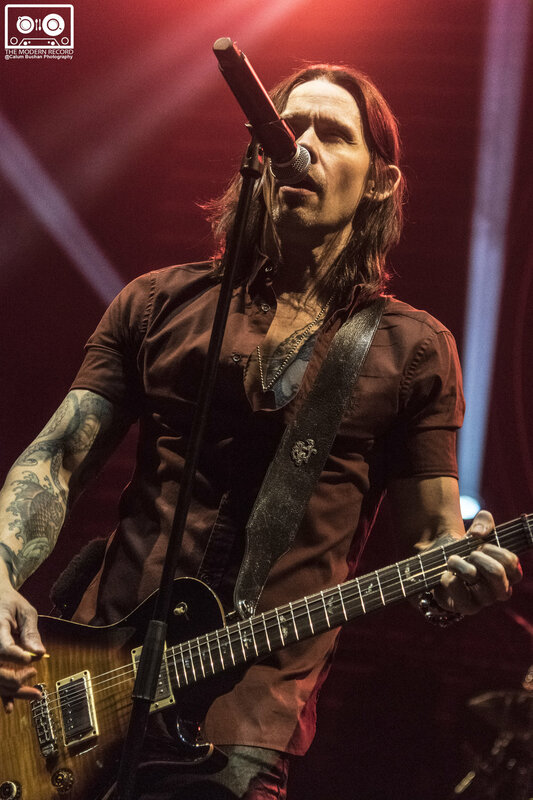 The first half of the set consisted of purely heavier tunes, however mid-set the band all left the stage with Myles reappearing alone, armed with his acoustic guitar. The stage was simply set with a single spotlight as he began plucking the beautifully soulful opening of ‘Wonderful Life’, followed by another moving acoustic track called ‘Watch Over You’, which had the audience quietly content, united as he sang. The entirety of the hall was awed into a subdued stun as these incredibly meaningful songs took each and every person’s breath away, including my own. They were and unexpected, yet welcome contrast to the earlier high energy more aggressive sounding songs from previously in the show. Deep into their lengthy set, a renowned classic of theirs appeared, as they began to play ‘Blackbird’, from their second album, the audience once again united as they began to crouch on the floor in wait as the opening guitar riff was repeatedly played, causing the low mass of bodies to bob and sway. 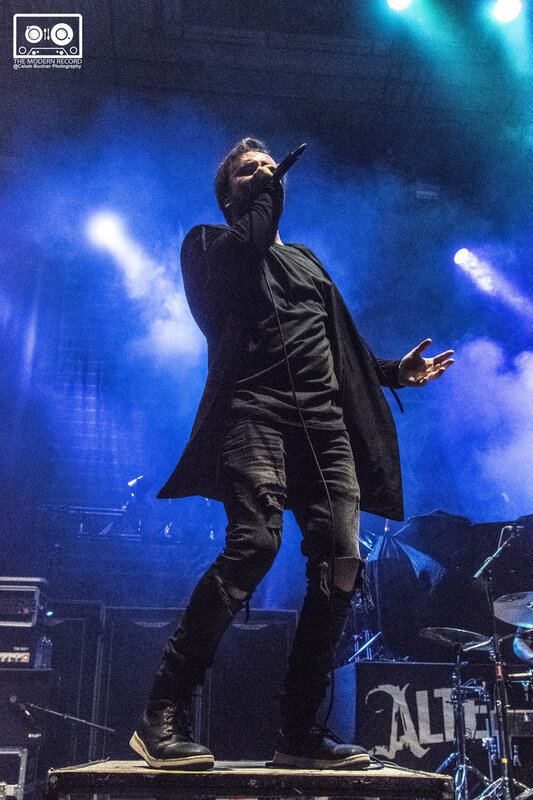 The song finally kicked into action sending the crowd into a frenzy of jumping and moshing. 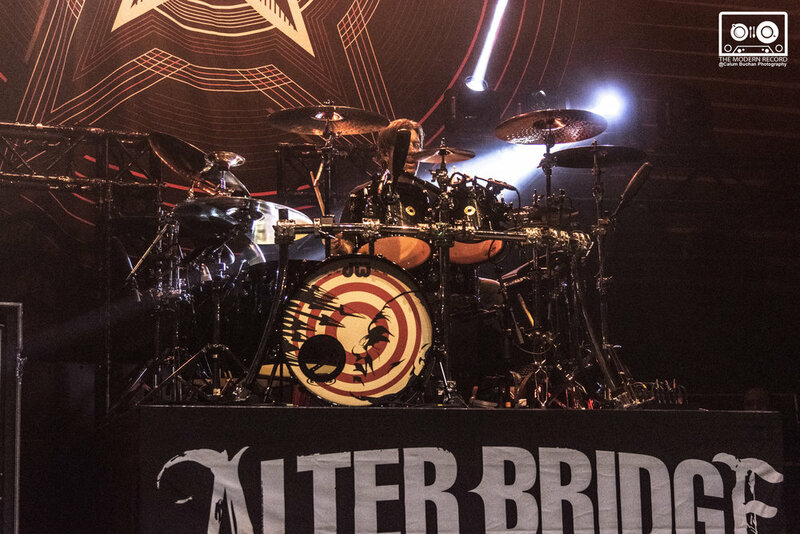 After leaving the stage and returning for their encore to play a further three songs as well as a duelling guitar solo between Myles and Mark, their final song of the night was ‘Rise Today’, as featured on their album ‘Blackbird’. 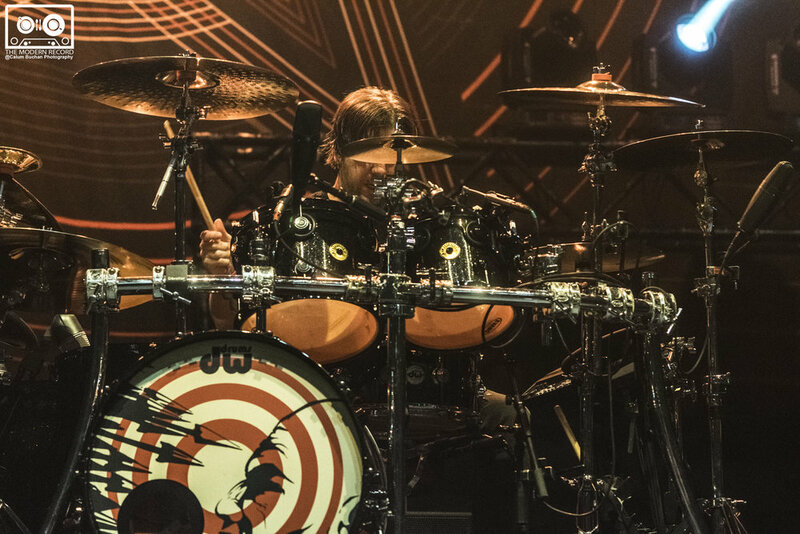 The crowd still happily participated by clapping a cheering with enthusiasm as the atmospheric start of the song began, with a loud crash of symbols from their incredibly impressive drum kit which featured no less than six symbols. 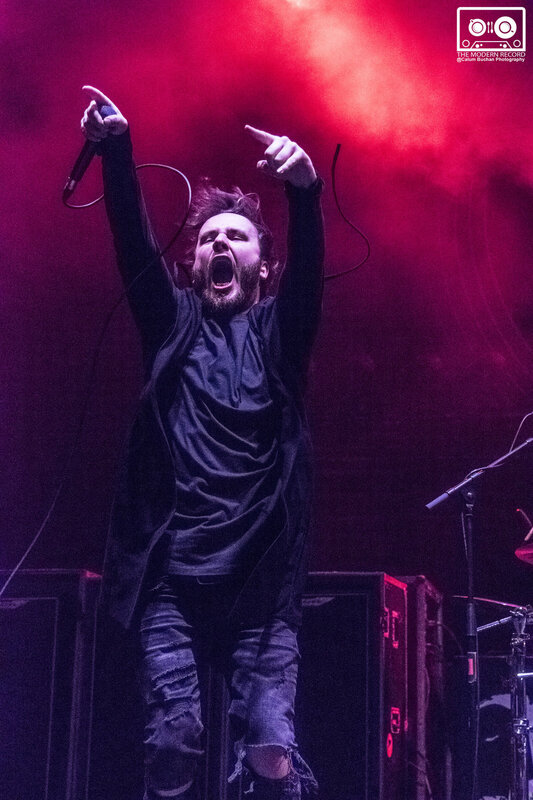 The band used every ounce of energy they had left to round of their set the way they had begun, leaving the crowd on a high. 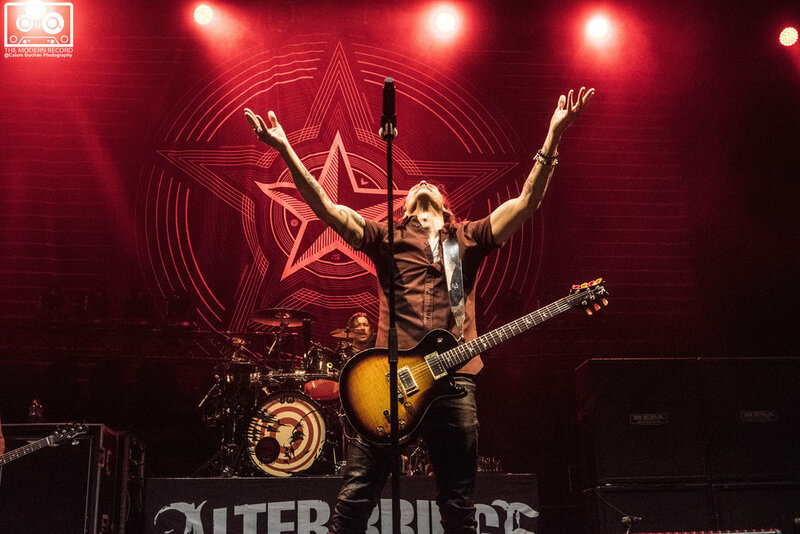 Overall, Alter Bridge successfully put on a brilliant show with their Californian alternative rock style, taking Edinburgh by storm with their endlessly energetic performances and obvious love of their craft. A fantastic band that I would urge anyone to go and see.